At Innovative Dental, we offer a comprehensive span of general and advanced dental care options designed to help you maintain a bright, healthy smile. Our highly-skilled and experienced dentists, are well-versed in the most advanced techniques and technology available in dentistry and are able to perform virtually every procedure right here in the convenience of our own office. 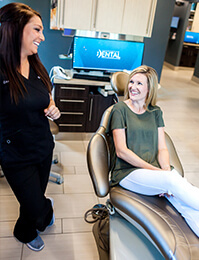 In addition to Dr. Olson’s and Dr. Megan’s expertise, our team of hygienists posses the knowledge and aptitude necessary to ensure you and your family receive the most effective dental care possible. Below is a list of our complete range of general and advanced dentistry options. For more information on a specific treatment or procedure, please contact our office today to schedule an appointment. Routine oral exams are an integral part of maintaining healthy teeth and gums while also helping to prevent future complications. During your exam, our experienced dental hygienists will thoroughly inspect the inside of your mouth to detect any existing issues you may have. Should any issues be present, our doctors will recommend a specific treatment plan that can address current concerns and help prevent problems from worsening. By receiving oral exams on a regular basis, you can help ensure that you and your family maintain an optimal level of oral health that makes you proud to smile. Dental cleanings are an essential part of keeping your smile healthy and bright. Following an oral exam, one of our skilled hygienists will typically perform a thorough dental cleaning by utilizing an advanced technique designed to clean your teeth more efficiently and effectively. This innovative cleaning technique utilizes less heat and water than alternative methods, and it has also been known to produce less sensitivity for your teeth and gums while providing a more comprehensive cleaning. Treatment times will vary depending on your specific needs, but dental cleanings at our office can typically be completed in as little as 30 minutes with this state-of-the-art technique. I love this place!! The coffee is amazing, staff is ALWAYS friendly! Sandra was SO gentle with my extremely sensitive teeth, this was by far the best cleaning/exam experience that I have had in years! Would absolutely recommend Innovative Dental! At Innovative Dental, we offer a comprehensive range of family dentistry services for children, teens, and adults. 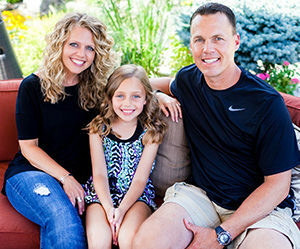 Dr. Olson and Dr. Megan are highly-experienced at treating patients of any age, and our office is designed to convey a safe and friendly environment that can make you and your family feel comfortable and relaxed during each and every visit. Additionally, our compassionate team of dental professionals has received extensive training in all aspects of care, which includes making your experience here with us as enjoyable as possible for the entire family. Root canal therapy involves the sterilization of infected nerves inside the tooth and can often be necessary to save a tooth that has severe damage or decay. Following the extraction of bacteria, the nerve chamber of the tooth will be sealed with a durable filling material and the tooth will often require a porcelain crown to provide long-lasting protection. At Innovative Dental, our doctors can perform your root canal therapy and fit your tooth with a customized crown, all in a single office visit. Once your infected tooth has been cleaned, sterilized, and filled, he will utilize CEREC® technology to precisely design and mill a porcelain crown based on the unique dimensions of your tooth. Your restoration will then be color-matched and bonded securely for the most natural-looking results. This entire process takes approximately two hours to complete, eliminating the need for multiple appointments and temporary restorations between visits. Dental emergencies can arise anywhere, anytime. Our doctors and our experienced staff can provide immediate assistance should you or your child experience a dental emergency such as severe pain, chipped or broken teeth, infection, or any number of other oral issues. If you believe you or a loved one are experiencing a dental emergency, please do not hesitate to contact Dr. Olson on his personal cell at 417-343-1266. Scaling and root planing is an effective technique designed to treat gum disease and help protect your teeth from cavities and decay. Utilizing this non-surgical treatment, tartar and plaque buildup found in the gums and around tooth roots will be removed, ultimately helping to disinfect soft tissues and prevent gum disease from progressing. Following the removal of harmful bacteria, we will complete the treatment by sealing the gums and reducing any discomfort with the use of laser technology. For more information about our general and advanced dentistry techniques, or to schedule a consultation with Dr. Olson or Dr. Megan, please contact Innovative Dental today. Our staff will be happy to answer your questions and assist you in any way we can. Dr. Olson put a lot of time into studying [my son] Alex’s case, as I think his bite was quite unique. Fast forward a year and a half later, and Alex’s teeth are beautiful!! [My daughter] Mallory also has a wonderful smile from Dr. Megan putting on an expander and braces for phase one of her treatment plan.